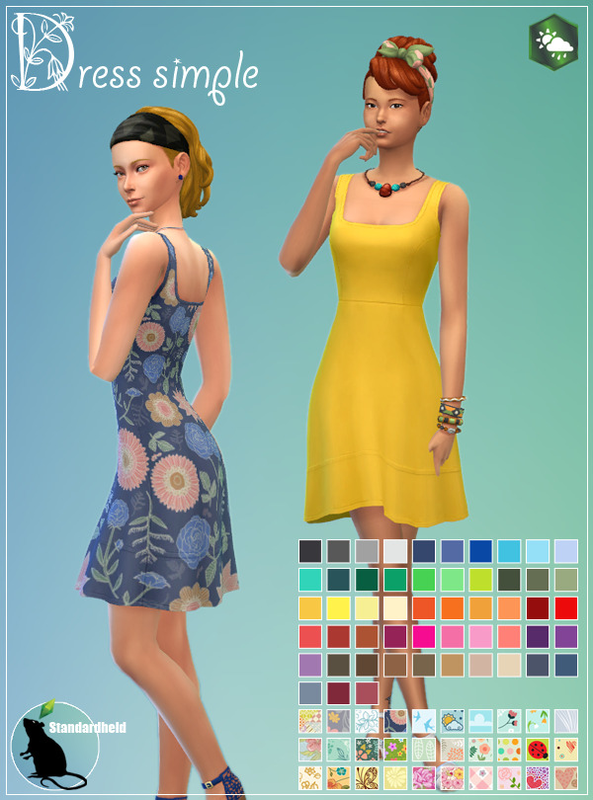 In an unofficial German Sims forum I got asked if I could add more colors to a mod created by bienchen83 which let you choose more colors for the frames of your sims’ photos. I got bienchen83′s permission and so here’s the result. Have fun! 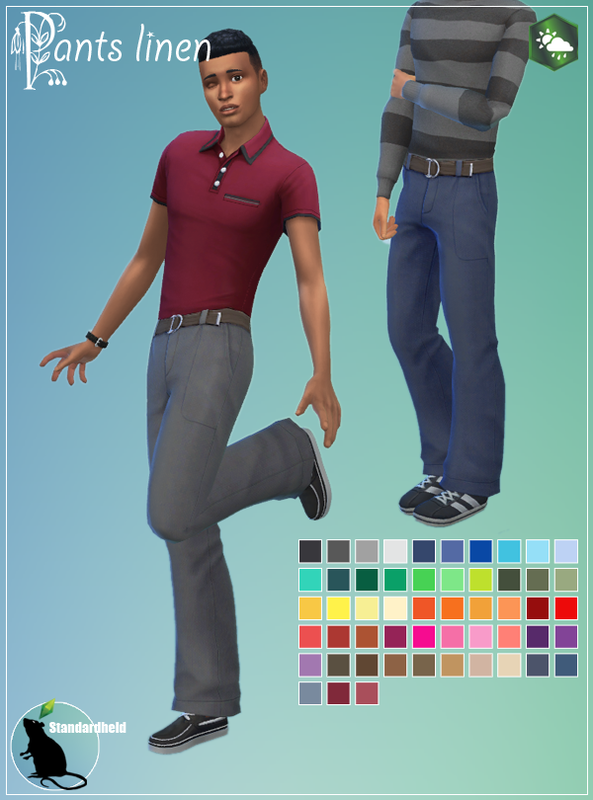 Let your Sim make one or more photos and put them from his/hers inventory against a wall. Put a frame around the photo by clicking on it in Live mode. 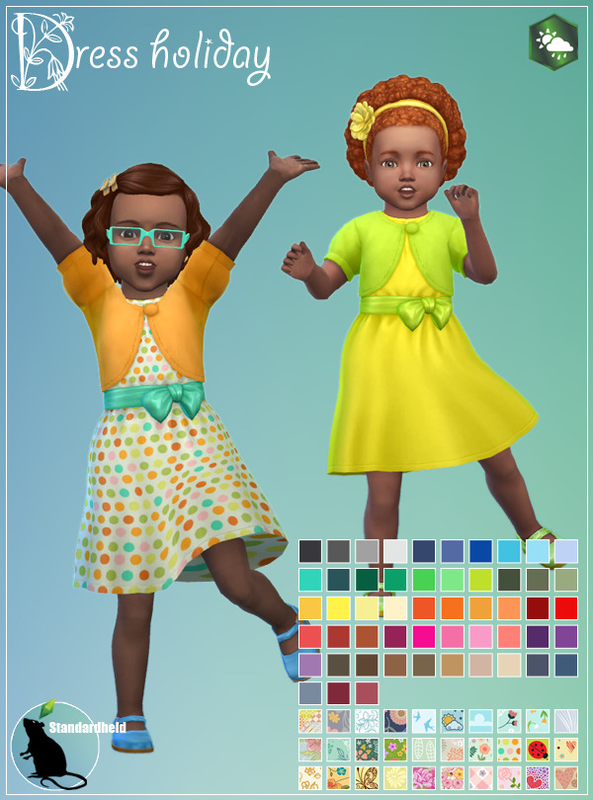 Go to Build/Buy mode and use the Design Tool to change the color of the photo frame. Mesh is included. Thank to Ridgeport. 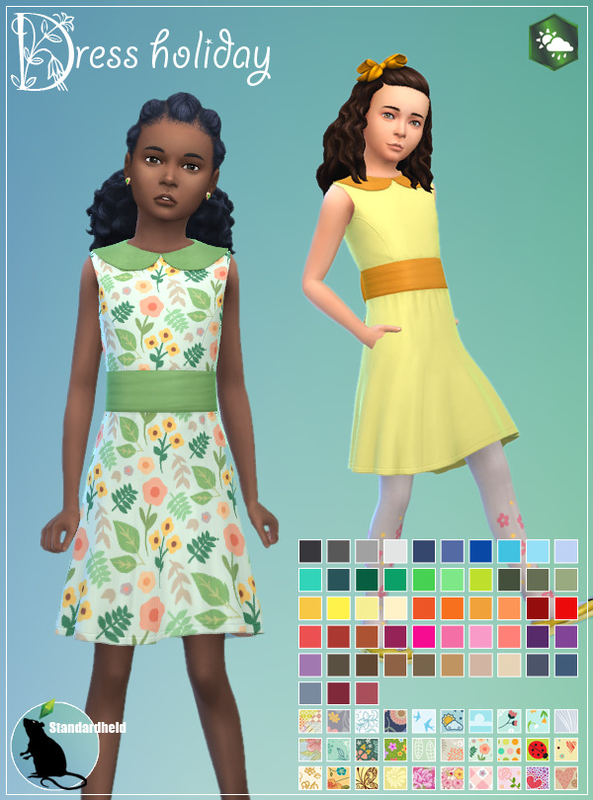 Origin dres here! Atumn ... the season of warm colors, wild and free wind spirits dancing with the leafs, magical fog in the morning, rhythmical singing raindrops, a cup of hot tea, snuggling in your favorite blanket. And the spooky season of sharing treats to each other. Happy Simblreen 2018, folks! Nevertheless, I recommend to take a look at the original meshes here and here! 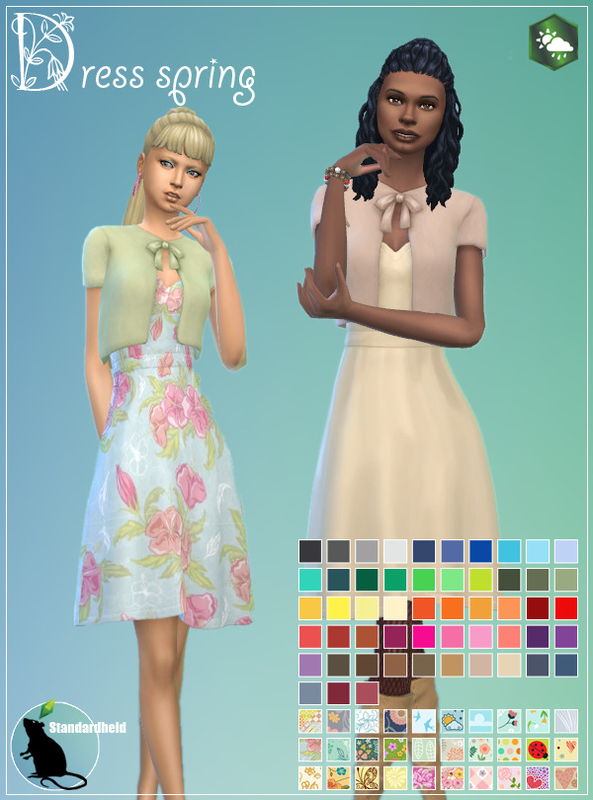 Finally I got “Get Famous” into my hands but I was a bit disappointed about Vanessa’s glamour dress because it didn’t look as glamorous as I remembered in the trailer. Something was missing … glitter! Glitter = Glamour! 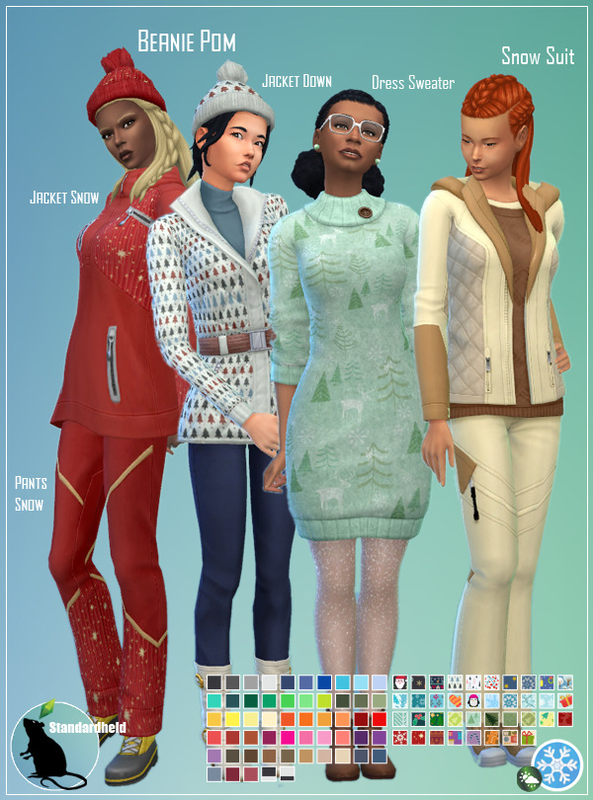 Now our celebrity sims can shine like a diamond! It's cold outside! 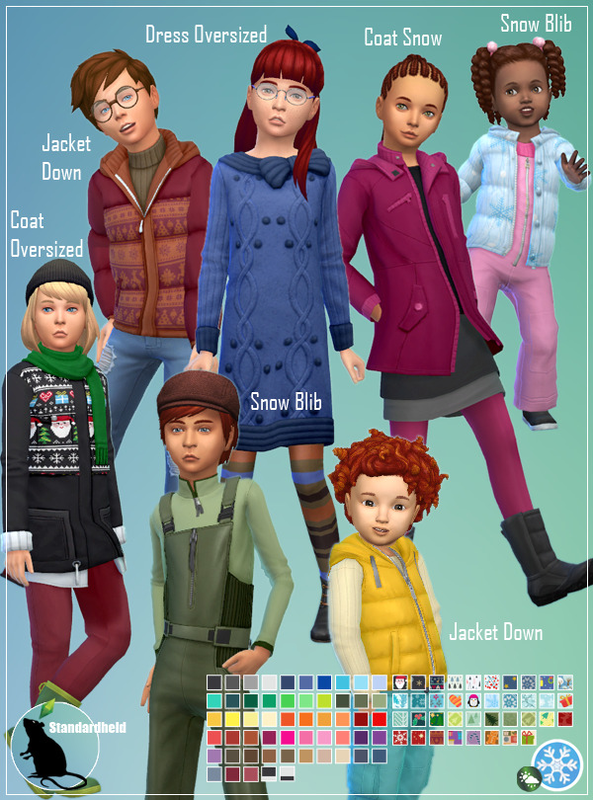 Keep your sim kids warm an comfy! Put them into these cuddly sweaters and have fun! It’s finally done. Finally! I wanted to finish this pack for last x-mas to be honest, so I apologize for the delay again. 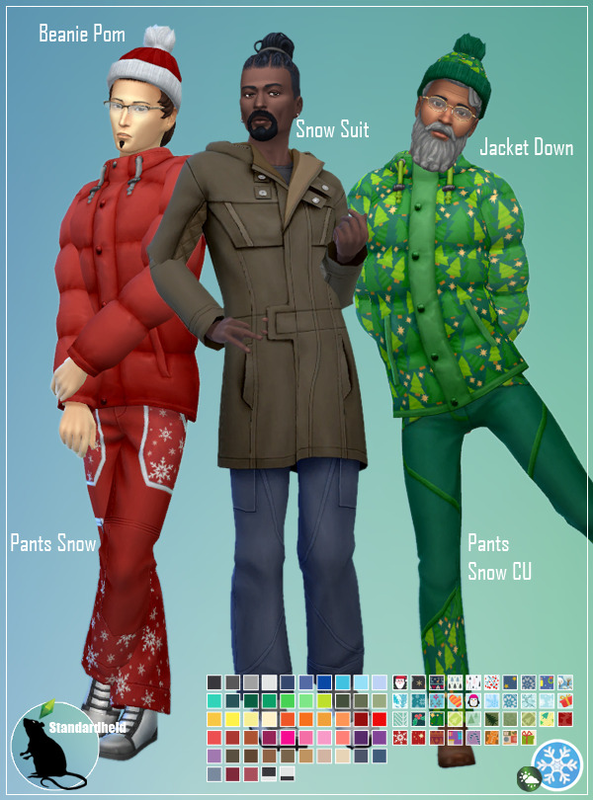 I hope, you and your sims can still use all the clothes because it’s still cold outside (and simlish seasons change more often, eh?). 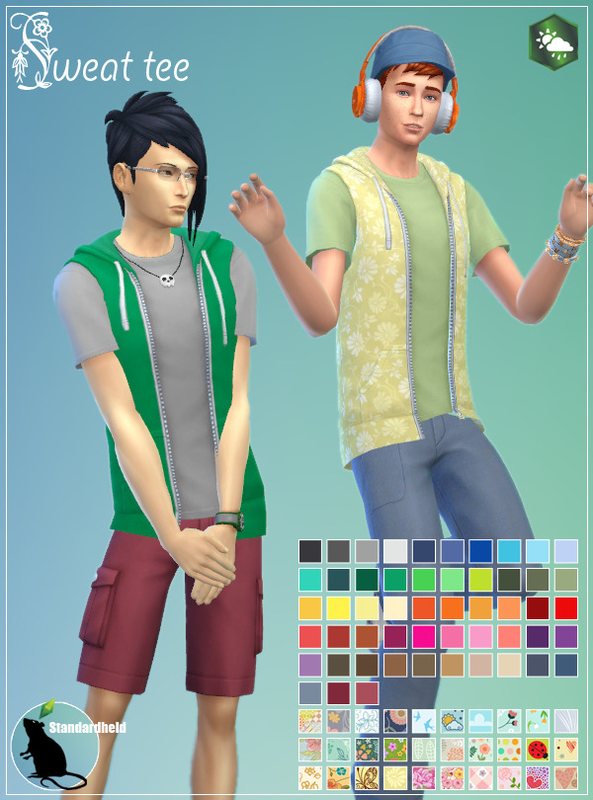 There’s something for every sim. Have fun! 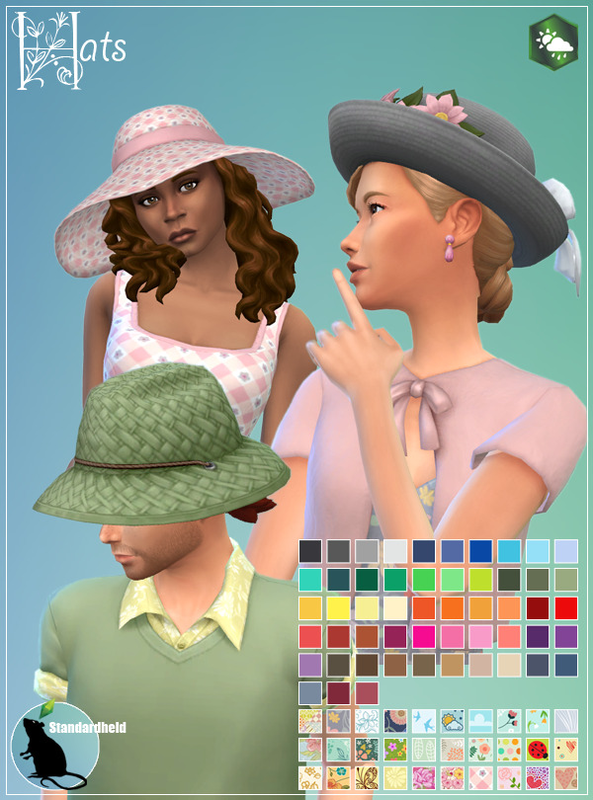 All items in this pack require The Sims 4 “Seasons” expansion pack! 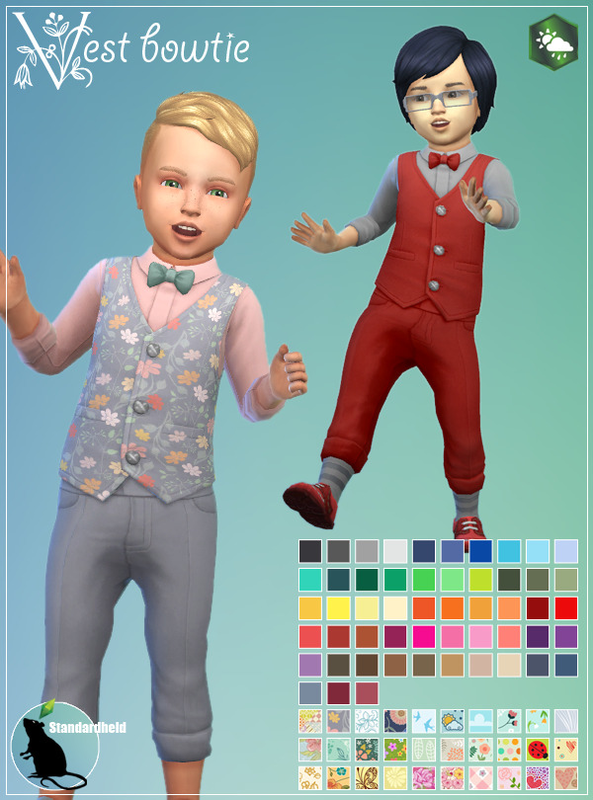 More preview pictures on my Simblr! Do you feel it? The world is awakening to new life. 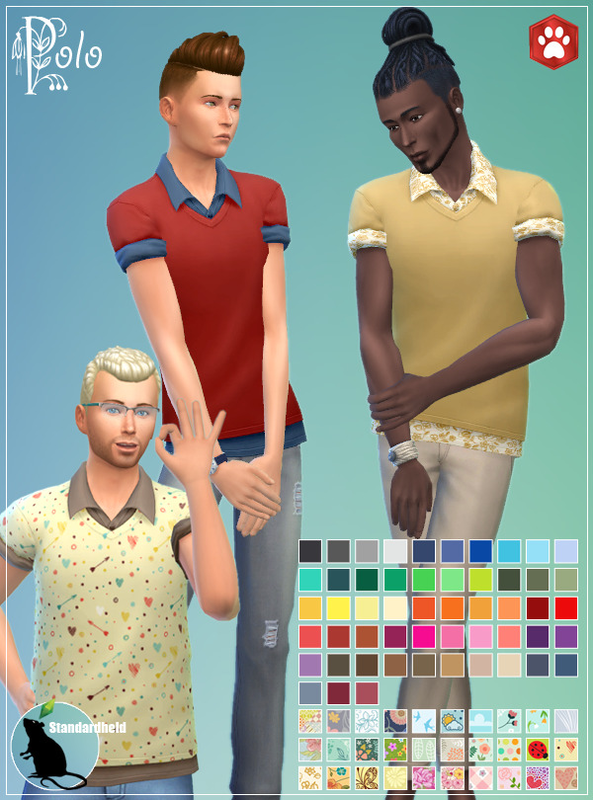 Everywhere it greens, flowers sprout, love is in the air ... and your Sims need clothes for the slowly rising temperatures. Have fun with a touch of spring to wear! 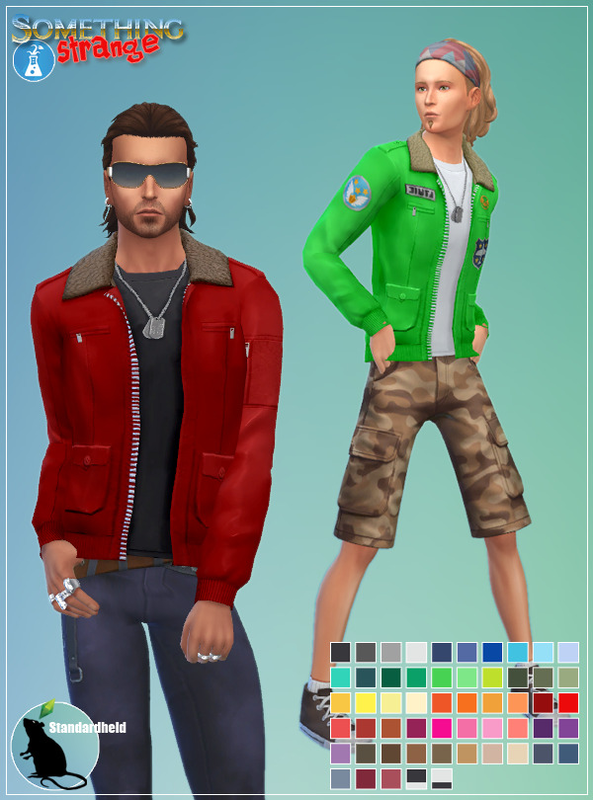 The aviator jacket (male top) comes in a stencil/button and in a plain version!